Brussels sprouts and I were not bosom buddies when I was growing up. In fact, they were just as likely to end up in the garbage can or in the dog’s bowl as they were to be ingested by me. But then I learned how to roast Brussels sprouts and how to serve them shredded (now my favorite holiday side dish), and I quickly became enamored by the little cabbages. 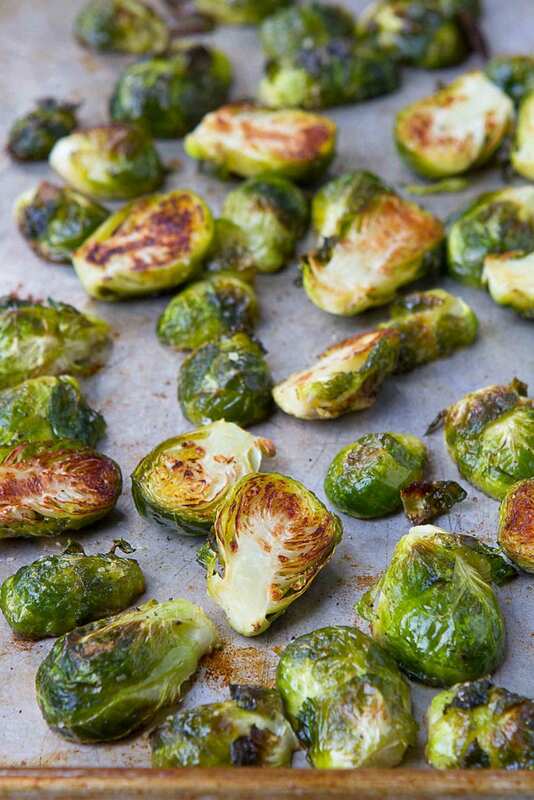 Roasted Brussels sprouts can be doctored up as much or as little as you like. Sometimes I add dried cherries or cranberries, toasted almonds and Parmesan cheese, or I grate some Parmesan cheese over top before serving, and other times I stick to a simple formula of olive oil, salt and pepper. This tutorial shows you how to oven roast Brussels sprouts in this simplest way, but feel free to branch out with other seasonings and add-ins. 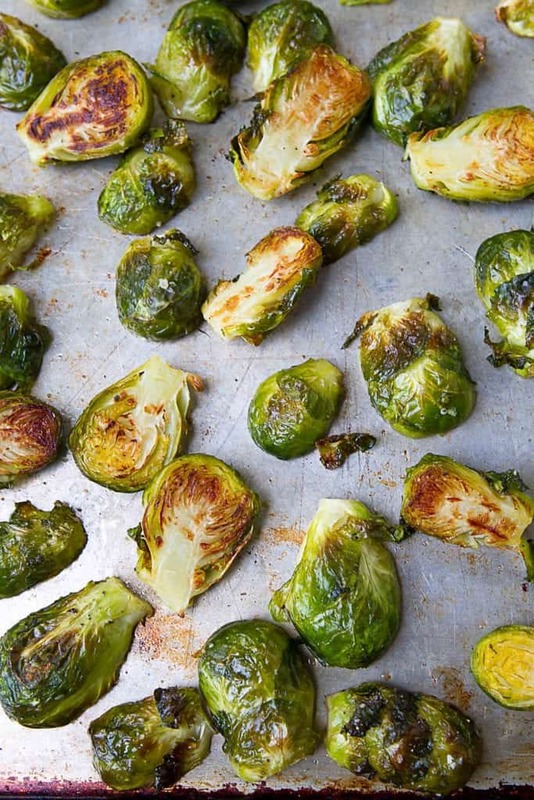 Do you cut Brussels sprouts before roasting? Start by trimming the ends off of each sprout. 90% of the time, you’ll cut the Brussels sprouts. The exception is for really small sprouts, which can be left whole. For medium or large Brussels sprouts, cut them in halves or quarters, respectively. If the Brussels sprouts are a bit damp from being washed, pat them dry with a clean kitchen towel. Less moisture will help the olive oil adhere to the sprouts and allow them to brown, rather than steam, while cooking. There are plenty of options for seasoning, but be sure to include salt and ground pepper at the very least. Other options are garlic, cinnamon, thyme, cumin, chili powder and/or paprika, to name a few. You can also finish them off with a squeeze of fresh lemon juice or a sprinkle of Parmesan cheese just before serving. Spread the sprouts on a baking sheet in a single layer. If they are crowded, divide between two baking sheets. When crowded, vegetable tend to steam rather than roast. 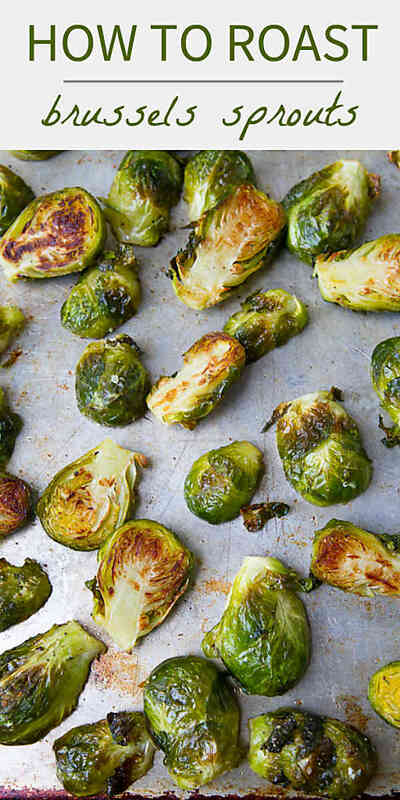 Roast the Brussels sprouts at 400 degrees F for about 25 minutes, turning the sprouts halfway through so that they brown on both sides. Is it “Brussels sprouts” or “Brussel sprouts”? If you have always called them “brussel sprouts”, you’re not alone! BUT…the proper name is actually “Brussels sprouts”. Most sources agree that the little cabbages are named after the Belgian city of Brussels, which is why the “B” is always capitalized. 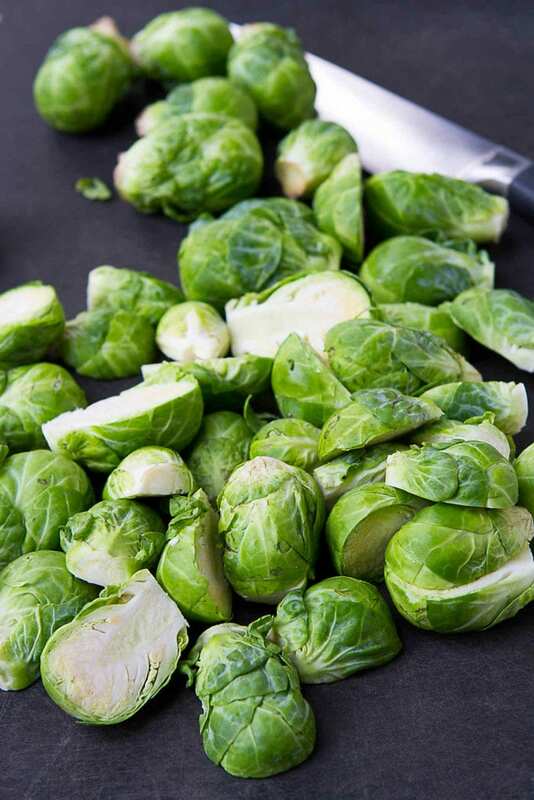 While there doesn’t seem to be a definitive answer to why the vegetables were named after Brussels, there is some evidence that Brussels sprouts were grown in Belgium as early as the 13th century. Preheat the oven to 400 degrees F. Lightly coat a baking sheet with cooking spray. 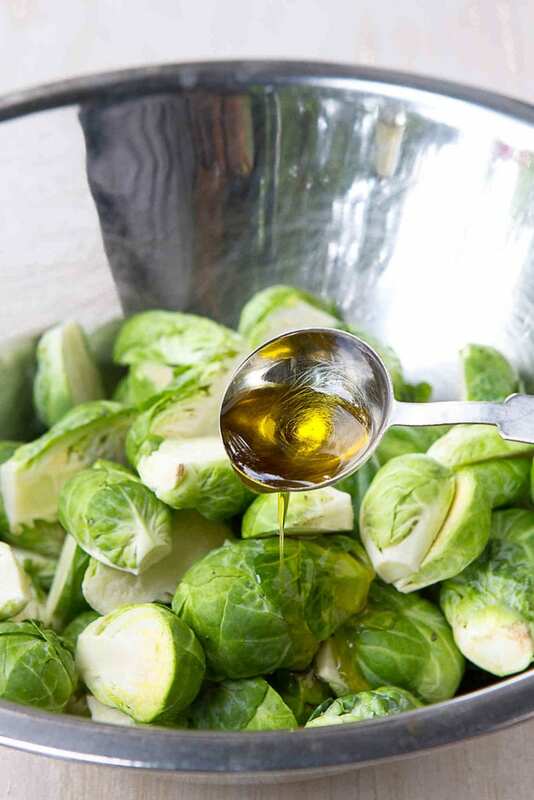 In a medium-sized bowl, toss the Brussels sprouts with the olive oil, salt and pepper. Transfer to the baking sheet and spread in a single layer. Roast until the Brussels sprouts are starting to brown and are tender when pierced with a fork, turning halfway through, about 25 minutes. Adjust seasoning as desired. Serve. You said 425 in the text, but 400 in the recipe. Seems like 425 would be more likely, no? John, thank you for catching that! It was meant to read “400 degrees F” (now fixed). That being said, 425 would also work – you would just shorten the cooking time slightly. That’s crazy, Kim! I first saw the long stalks our Trader Joe’s here, but even our regular supermarket is starting to sell them that way, too. Hopefully things will change in your area! Up until now, I have been the only one in my house who loves brussels but having tried this recipe by girlfriend and flatmate are converts!